Lots of countries these days have laws that make it a criminal activity to criticize the government. Dictators and other psychopathic leaders use these laws to control the political opposition, since anyone who criticizes the leaders can be beaten, tortured, raped and jailed. So with Christmas approaching, it's worthwhile to note that two countries are implementing new laws to jail government critics. 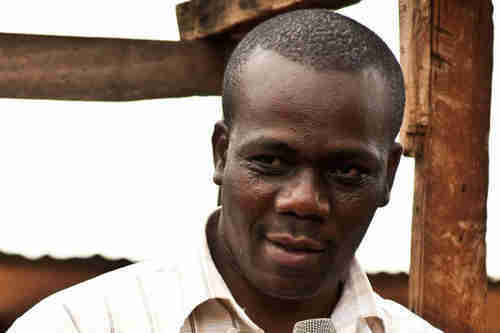 On October 29, police in Dar es Salaam, the capital city of Tanzania, arrested parliament member Zitto Kabwe on charges of "sedition." His crime? At a campaign rally, he said that the national economic growth for the second quarter was a 5.7%, when the National Bureau of Statistics (NBS) said that their figure was 7.8%. According to police commander Lazaro Mambosasa, "The MP was later transferred to Central Police Station for further interrogation related to seditious words uttered on the material day." Tanzania's president John Magufuli is apparently clamping down on criticism. According to his opponents, 400 have been arrested and questioned in the past two years. Politicians in the opposition Chadema party have been specifically targeted, although journalists and artists have also been arrested. MP Tundu Lissu has been arrested multiple times, once for revealing that Canada had seized a commercial aircraft for non-payment, and once when he was charged with "hate speech" after calling Magufuli a "dictator." Magufuli now wants to clamp down harder. Last week, he instructed the National Bureau of Statistics (NBS) to fine or jail any individuals, institutions and non-governmental organizations (NGOs) accused of airing or publishing false statistics. Magufuli said that the minimum sentence should be three years in jail. What this reminds me of is the Mao Zedong's Great Leap Forward in 1958-59. 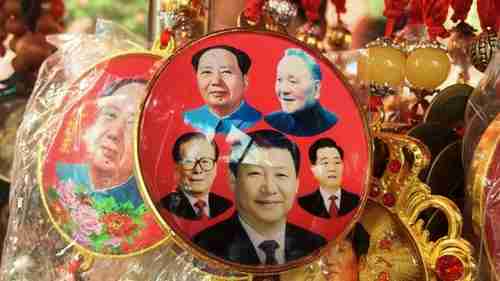 Mao wanted to turn China into a Socialist powerhouse. 500,000,000 million peasants were taken out of their individual homes and put into communes, creating a massive human work force. The family unit was dismantled. Communes were completely segregated, with children, wives and husbands all living in separate barracks and working in separate battalions. Communal living was emphasized by eating, sleeping, and working in teams. Husbands and wives were allowed to be alone only at certain times of the month and only for brief periods. Mao dismantled the Central Statistical Bureau, the organization responsible for keeping track of all the economic activity going on in the country. As a result, China's leadership had no real idea whether the Great Leap Forward was meeting its objectives or not. As a result, corruption and fraud became rampant, and no one knew what was going on. Farms lied about crop harvests, and there was no way to verify them. By the time the problems were discovered, tens of millions of people died of starvation, and Mao was disgraced. A 19-year-old Chinese man living in Inner Mongolia, identified only by his surname Luo, has been arrested for "stomping and insulting" a portrait of Genghis Khan. A video of the act went viral, and police received complaints that the video had caused a disruption to society. Genghis Khan is definitely not revered by many Han Chinese, especially in the areas that he conquered and ravaged during the Mongol invasion of China, a generational crisis war that climaxed in 1206. However, he is revered by ethnic Mongols, including Mongols who are Chinese citizens. Luo was sentenced to one year in prison for desecrating a portrait of Genghis Khan. Now China is considering a new law that criminalizes anyone deemed to have smeared the �reputation and honor� of the ruling Chinese Communist Party�s canon of heroes and martyrs. Getting attacked by trolls is a constant fact of life for people who post articles about other countries. I've been attacked by trolls from Russia, Syria, China, Burma, Azerbaijan, Zimbabwe, Burundi, and other countries, when they didn't like my article because the facts embarrassed their country or country leader. In several recent articles, I've compared China's "Socialism with Chinese characteristics" to Nazi Germany's "National Socialism," and noted that they were very similar. I said the same thing in a recent article on China's military buildup on Bhutan's Doklam Plateau. "I could send you links to a thousand Indian media articles that criticize Narendra Modi. You can't post a single link to a Chinese media article that criticizes Xi Jinping." What followed was really bizarre. I kept demanding that he post a link to any article that criticizes Xi Jinping. He repeatedly evaded this question, and posted links to left-wing web sites criticizing India. "Really, this is hilarious. You know, at first I thought you might come up with some article that maybe criticized Xi Jinping in some minor way, maybe the way he combs his hair or something. But now I realize that if some article like that even existed, then you couldn't link to it, because then you would be criticizing Xi Jinping, and you would be abducted and thrown into jail by the Chinese Communist Nazis. So you don't dare do anything like that, and all you can do is evade the whole issue. China is a country where you can't even post a picture of Winnie the Pooh, because the cartoon character looks too much like Xi Jinping!!!!" So this turned out to be a very interesting situation. Dear Reader, if you ever confront a Chinese troll online, just keep demanding that he say anything to criticize Xi Jinping, or link to a Chinese media article criticizing Xi Jinping, and he won't have an answer.